This entry was posted in Hermetic Library anthology and tagged 2014, anthology album, autumnal equinox, music, Salem:1976 on October 18, 2014 by John Griogair Bell. 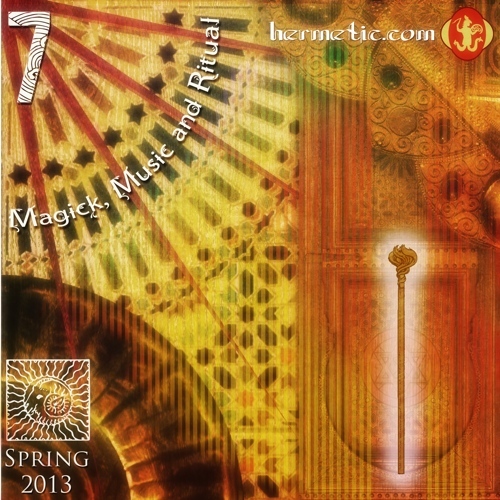 Magick, Music and Ritual 10, the one and only album in 2014, from the Hermetic Library Anthology project is now released for immediate digital download. Magick, Music and Ritual 10, the one and only album release for 2014 from the Anthology Project, is being released around Autumnal Equinox, Sun in Libra, 2014, with 26 tracks and over 2 hours of music by 21 artists, new and returning voices, and some tracks exclusive to the Hermetic Library and this anthology. 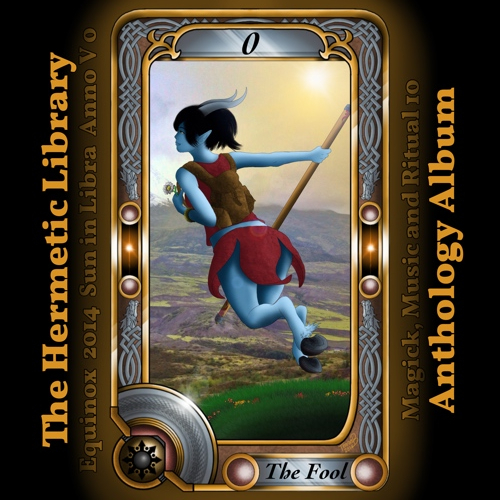 The artwork for this issue was created by Terra Bosart and is an interpretation of Atu 0, the Fool, in Tarot. One way of counting years is to use a cycle of Tarot cards. The current year count is Anno V 0 which can be represented by, and thus can be seen as having correspondence to, a combination of both Atu V, the Hierophant, and Atu 0, the Fool. In addition to the cover, for the first time, this anthology release includes two bonus images. The first is an illustration that accompanies the OrosKhaos track “The Great Descent”. The second image is a visual word play on “Magick Music Ritual” by Craig Conley, who appears on this release as part of the group Esperantoland. These bonus images are part of the download and are intended to offer an additional surface on which to reflect the feelings and thoughts developed by listening and deepened in relationship to this playlist. 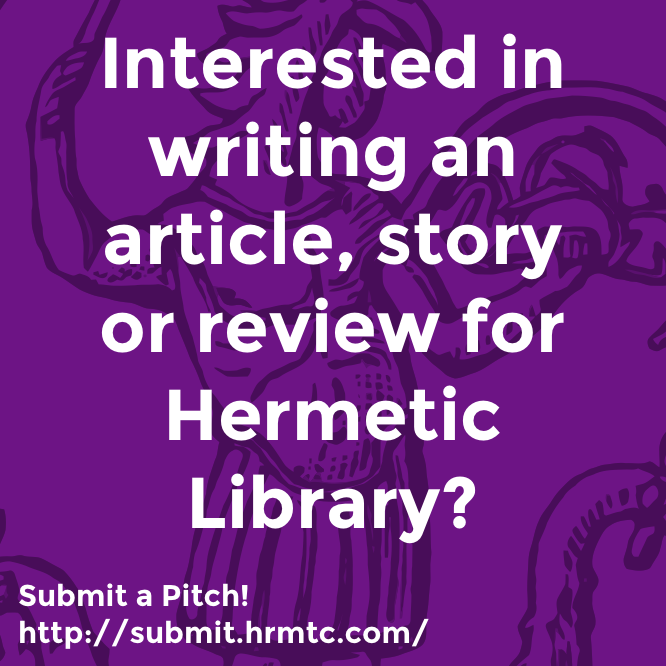 This entry was posted in Hermetic Library anthology, The Hermetic Library and tagged 2014, Ace of Space, Alan Sitar Brown, anthology album, Audiothrillseeker, autumnal equinox, Black Lesbian Fishermen, Craig Conley, Dave Migman, December Luna, DulT, Esperantoland, EX Astra, Eyvind Kang, frogtoboggan, J Flash, Jessika Kenney, Karyæ, magick, music, MVNIHVD, Ophwurld, OrosKhaos, ritual, Robert Furtkamp, Salem:1976, shams93, Somnolent, Terra Bosart, Twelve Hides, United Gods, Viginti Tres Sæcula on September 23, 2014 by John Griogair Bell. “Hymn of the Bog Hag” is a track added by Salem:1976 in the Hermetic Library audio pool. This entry was posted in Hermetic Library audio and tagged audio, music, Salem:1976 on May 16, 2014 by John Griogair Bell. “Backroom Oneiromancy” is a Salem:1976 track added by etchedtraumas in the Hermetic Library audio pool. 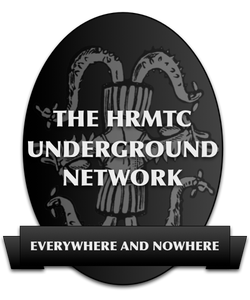 This entry was posted in Hermetic Library audio and tagged audio, etchedtraumas, music, Salem:1976 on June 10, 2013 by John Griogair Bell. This entry was posted in Hermetic Library anthology and tagged 2013, anthology album, beltane, music, Salem:1976, spring on May 12, 2013 by John Griogair Bell. 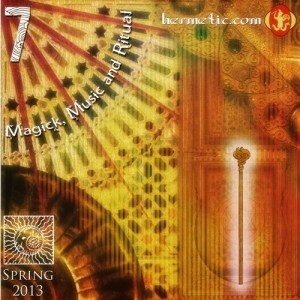 Magick, Music and Ritual 7, the Spring 2013 album, from the Hermetic Library Anthology project is now released for immediate digital download! 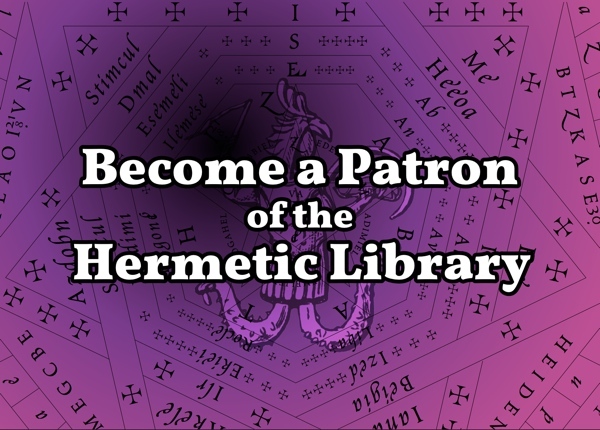 The seventh issue from the Hermetic Library Anthology Project is being released on Beltane in Spring 2013, at 15° Taurus. This is the next album in the second full year of releases, planned for all four quarters in 2013. Magic, Music and Ritual 7 brings together 10 tracks, from new and returning artists, with over an hour of music in this ongoing series. The artwork and design of this issue was created by Mustafa al-Laylah. This is the second of a full series of covers which will span the entire year. The cover design of this issue is the lower right quadrant from the full set of covers this year which can be combined to make a larger image, a collectable poster that combines the elements of all four seasons. The lower right quadrant, in this case, being related to a position on the wheel of the year and the typical correspondences between this time of year, this Spring season, and various things associated such as magical weapon, element, zodiac, cherub and so on. Mustafa has done a great job in combining various correspondences into a compelling and interesting image for this cover, and we can all look forward to seeing the whole image revealed through the rest of the year. This entry was posted in Hermetic Library anthology and tagged 2013, anthology album, Apollon, beltane, Dr.Hans, Januariez, magick, may day, music, Ophwurld, ritual, Salem:1976, ShadowCaster, shams93, spring, Utu Lautturi, western esoteric tradition on May 5, 2013 by John Griogair Bell.